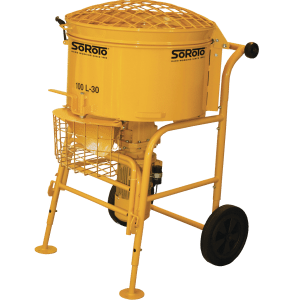 Manufactured to the highest quality, SoRoTo forced action mixers are designed to withstand some of the toughest environments that machinery can face. 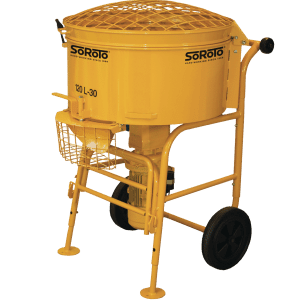 With efficient, quiet motors and durable, rugged designs, the SoRoTo range of upright pan mixers are perfect for contractors who require a high-capacity output machine which is portable and reliable. We can supply our range of forced action mixers on interest-free credit over 3, 6, 9 or 12 months, helping you to spread the cost of buying one of our machines and eliminating the need for wasteful long-term hire. Own your machine with our payment plans which can be spread over a term of up to 12-months to suit the cashflow of your business. With a 60-second application process, 96% approval rate and immediate decision, our interest-free credit payment option is simple and straight forwards. With no hidden fees and always interest-free, our paperwork-free credit provider can complete all stages of your application online with their e-sign forms. You’ll be able to access your account 24/7 from a phone, tablet or PC, easily change personal details, check your balance and make early repayments, all using the safe and secure DivideBuy platform. For mixing concrete, screed, resin bound, render, epoxy resins, tiling grout, mortar, plaster and more! 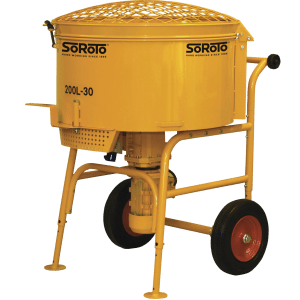 SoRoTo forced action mixers are incredibly versatile and can be used in a vast range of construction applications including those mentioned above. 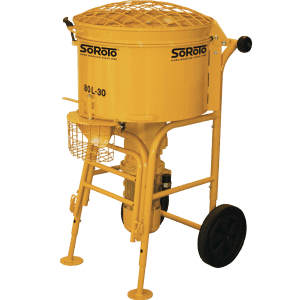 By actively combining all of the components within the pan, with the unique mixing system ensures that the mix is even and consistent, with even the 40L, the smallest in the range, being able to mix nearly 100kg of concrete in only a matter of minutes. Unlike tip-up mixers which rely on gravity and centrifugal force in order to combine the materials inside the pan, our mixers push even the most coarse or viscous products together in order to provide you with a perfectly blended mix. 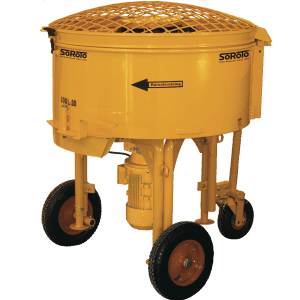 With the smaller models designed with an integral bucket-holder, these mixers can work for prolonged periods of time, ensuring continuity of the product, and as they’re transportable through doors and up staircases, the material can be delivered right where you need it. Our mixers are able to mix an extensive amount of materials for jobs ranging from tiling to resin bound driveways to lime rendering a house. You may be wondering what materials our machines are able to mix and what some of them are used for. Below are just a few examples of the materials our forced action mixers can mix. A mix of decorative, washed and kiln-dried aggregates and a specially formulated resin binder. Resin bound has become increasingly popular in the past 10 years or so thanks to its attractive finish, strength and permeability. With the need for more SuDS complaint surfaces within towns and cities, resin bound provides the strength of typical concrete whilst allowing water and liquids to drain away to reduce the possibility of flooding. It is highly recommended that resin bound is mixed in a forced action mixer and our 100L holds the perfect industry mix, 4 bags of gravel & a tub of resin. Plaster is a normally used as a decorative or protective layer over internal bare walls before they can be painted, tiled or papered. With the ability to be made from a number of materials, a good versatile mixer is required. Plaster is a more aesthetic application than a necessity but is used in most homes. Screed is a thin cement like flooring material that is created by mixing sand and cement. It is poured and levelled on top of existing slabs or concrete floorings to either cover under floor heating or insulation or used to smooth out a floor before laying a carpet or tiles. Render is the first coat of plaster like material applied to the outside of a brick or stone wall or home. It is used to create a smooth or textured surface by mixing together using plastering or rendering sand, cement and lime. A thick workable paste material which is used to bind, fill and seal gaps between bricks, stones and blocks together when building homes or walls. It is created by mixing together sand, water and cement lime. Colours or patterns can be added in masonry walls too.